When your Toro lawn mower stalls out after you start it, you will need to troubleshoot the problem so you can get to mowing again. 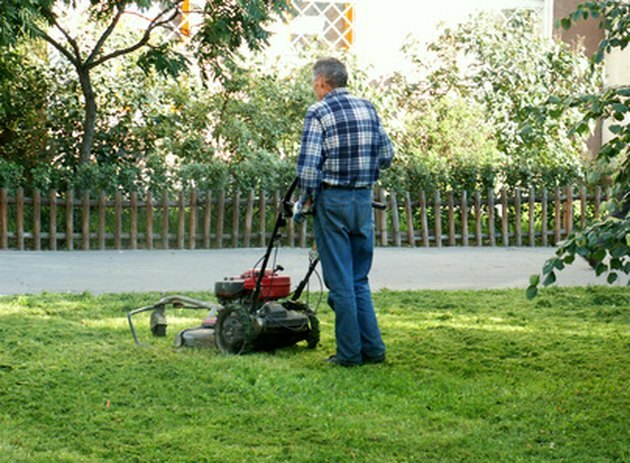 A stalling lawn mower can be caused by problems with the unit's the air flow and gas intake. You can save your yourself the money a mechanic would charge you by repairing your stalling Toro mower at home. Check to make sure the mower has gas--this is the most common problem for stalling mower engine. Check for proper airflow through the air filter. Unscrew the air filter cover on the right side of the Toro engine with the correct sized wrench and look at the air filter. If the air filter is really grimy and dirty then you should replace it to get max airflow into the Toro engine and prevent stalling from an improper gas/air mix in the future. Unscrew the clamp at the end of the gas hose on the carburetor with the proper sized wrench. Pull the hose off the carburetor. Spray carb cleaner into the side of the carburetor for several seconds. Replace the hose and clamp it back down tightly. Unscrew the bolt holding the fuel bowl onto the base of the carburetor with the proper sized wrench. Dump out any old fuel. Spray carb cleaner on the area above and into the fuel bowl. Screw the bowl back on tightly.